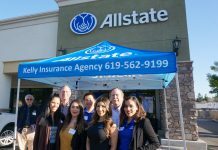 Senator Joel Anderson’s final Holiday Legislative Open House was held at the Toyota of El Cajon on Tuesday, Dec. 12 and was filled with his constituents, local organizations, and community leaders. 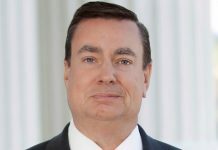 Anderson represents District 38 in the California State Senate, which consists of San Diego’s East County, and parts of North County. All refreshments and entertainment at the event were donated by organizations and businesses in the community. Anderson arrived early to personally thank each contributor by walking from table to table, presenting certificates of recognition, and taking photos with representatives. “I appreciate everyone who made this final Holiday Legislative Open House a successful event. Hearing directly from my constituents about the issues they care about has always been important to me, and I appreciate getting feedback. 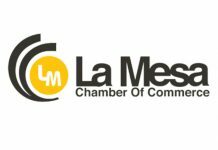 “At this free and public event, constituents were able to meet with Anderson, propose new bill ideas for legislation, and get assistance with any issues involving state agencies. The 2017 legislative update was given to each attendee, which listed the successful bills Anderson worked on this year. 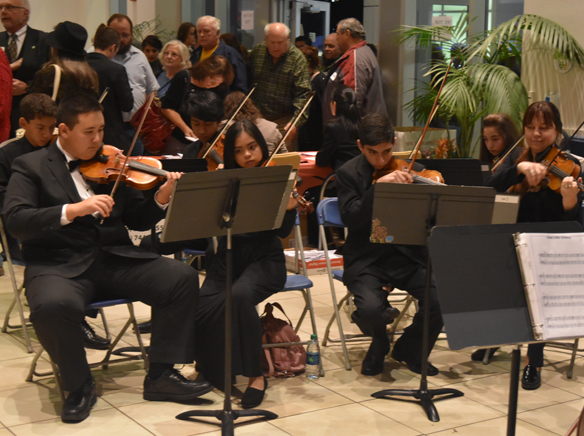 East County Youth Symphony, Tremble Clefs, and International Academy of Jazz filled this event with colorful decorations, delicious food, and joyful music. For those who wish to contact Anderson to share their ideas are encouraged to email him at senator.anderson@sen.ca.gov or call him at 619-596-3136.